I’m using the Steam version of Fallout: New Vegas (F:NV hereafter), and I’m going to assume you are too. In addition, I’m starting from a fresh install straight from Steam with nothing done to it yet. I’m also assuming that you have 7-zip installed and know how to extract files from .zip and .7z archive files. Before we do anything else, we need to let Steam do its thing after we download F:NV. Click the Play button in Steam and let it install the runtimes it needs. It will then open the F:NV launcher, telling you what quality settings it has selected for you. Set Anti-Aliasing to off (otherwise you will get weird transparency effects), and exit the launcher and return to Steam. Right Click on Fallout:New Vegas in your steam library list and select Properties. On the General page, uncheck “Enable the Steam Overlay while in-game”. Having this on will make things appear ghostly and weirdly transparent once ENB is activated. Finally, click on the Advanced button and then the Water tab. Uncheck Water Displacement and Depth Fog for similar reasons. ENB Series is a Direct 3D shim that intercepts calls to Direct 3D and modifies them on the fly before passing them on to the system. Properly configured, it can create some spectacular in-game effects. In order to use it, we need to download two files: ENB Series itself, and an ENB Preset, a set of configuration files that tell ENB Series what to do to our game. Strangely enough, we need to grab the Preset first, so head to Enhanced Shaders on the Nexus. 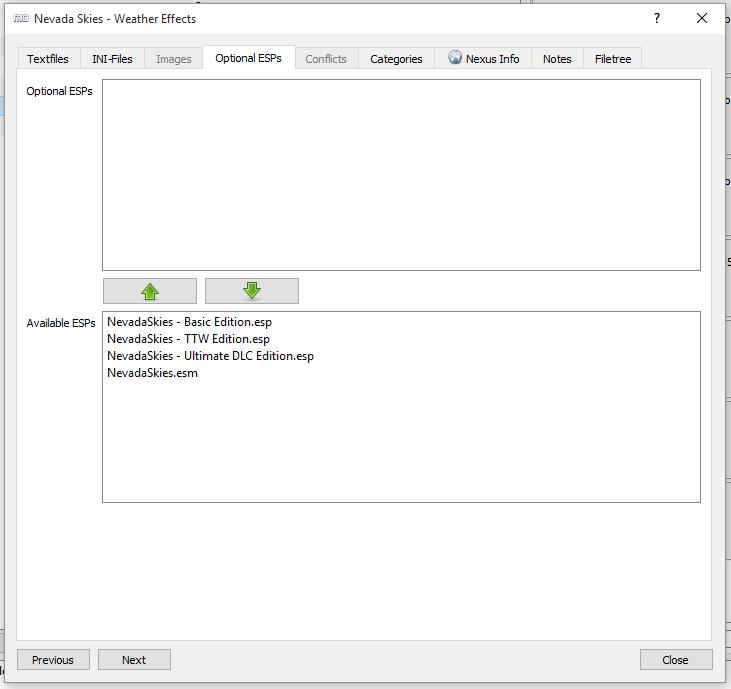 Unlike most other mods, we can’t install ENB Presets through Mod Organizer, so from the Files tab, download the Nevada Skies edition, as we will be installing that mod later on. 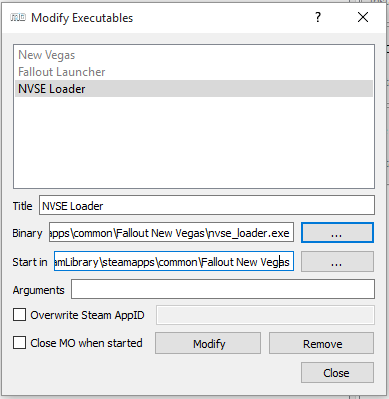 Open the zip file and copy everything from the “1 – Installation” files folder into your Fallout:New Vegas folder (usually located at C:\Program Files (x86)\Steam\SteamApps\Common\Fallout New Vegas). Now, head over to ENBDev. Click on the latest version of the Fallout 3/Fallout New Vegas ENB modification, scroll down, and click on the little download icon (looks like an arrow pointing down into a box). This will net you a ZIP. Unzip it to a temporary location and you will find it contains two folders: “Injector Version” and “Wrapper Version”. We want the Wrapper Version, so go into that folder, select ONLY the D3D9.dll file, and copy it into the F:NV folder. The other “Non-Mod” we will need is called New Vegas Script Extender, or NVSE. This set of DLLs works with F:NV to allow mods to access an extended library of scripting tools, allowing for more complex capabilities that would otherwise not be possible with the F:NV engine. Head to http://nvse.silverlock.org/ and download the latest stable version. Unzip this file to a temporary location and copy the contents of the folder it contains into the F:NV folder. Important: NVSE’s files are contained within a folder inside the 7Z file, but you don’t want that folder to appear in the F:NV folder. The DLL files should be directly inside F:NV, along with the FalloutNV.EXE file and the ENBSeries files. You do not need to copy the src folder over, but it won’t hurt anything if you do. The first thing you should do is head over the http://www.nexusmods.com and make an account. 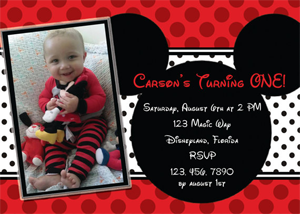 While you are there, consider subscribing. Nearly everything we will be downloading in this guide comes from the Nexus, and the bandwidth usage will be considerable! The first thing you will want to grab is actually on the Skyrim portion of the Nexus : Mod Organizer. For me, this has been by far the most useful tool for installing mods for Bethesda games so far. The interface is pretty straightforward and it has a number of tools built-in for things like load order sorting and conflict resolution. It also uses a virtualized file system, meaning it won’t clutter up your actual F:NV Data folder with mods. They will be shunted into what the game sees while running. It is a pretty cool setup, as it makes removing mods you decide you don’t like (as well as moving their order around to prioritize them) a cinch. 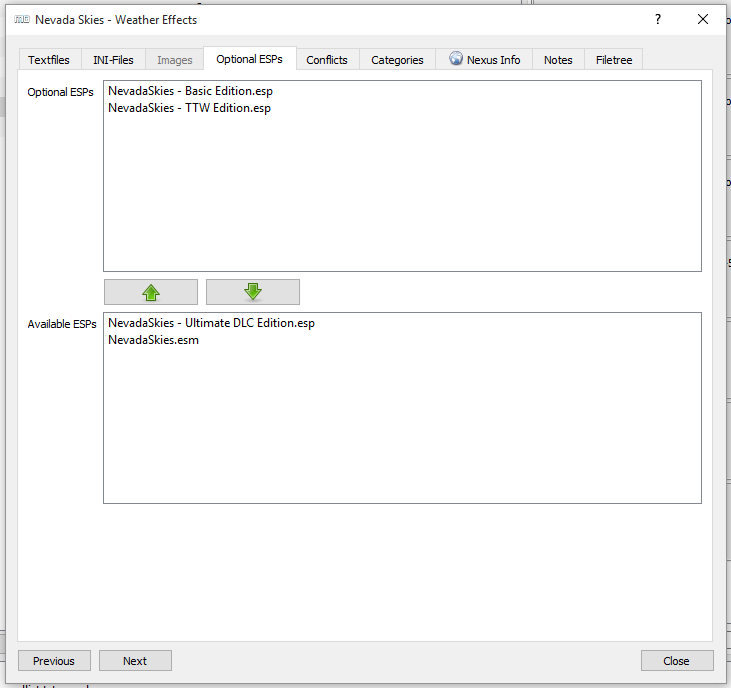 Download the non-installer version, and unzip it into your F:NV game folder, so that you have a “ModOrganizer” folder inside the F:NV folder. Open the ModOrganizer folder and run ModOrganizer.exe. This will create a number of new folders inside ModOrganizer and ask you if you want to run through a tutorial on how the program works. You can do that if you want, but for now, I’m assuming you clicked No. MO should detect that you are working with F:NV and create an appropriate configuration. Click on the Screwdriver-and-wrench icon in the MO toolbar to bring up the settings menu, and click on the Nexus tab. Check off Automatically Log In, and enter your Nexus credentials. Finally, we need to set up a launcher shortcut to the NVSE_Loader.exe that comes with NVSE. Drop down the menu to the left of the “Run” button on the MO window (Currently says “New Vegas”) and select “Edit…” to bring up the Executables menu. Without clicking anything in the list, fill out the fields as shown above. Pick the “nvse_loader.exe” file from the F:NV folder and set the Start In to the F:NV folder. Click “Add” (it will be were the Modify button is in the screenshot above) and your new executable will be added to the Mod Organizer list. We will pretty much always be using this executable to run F:NV, so select it from the dropdown menu after you have closed this window. The first mod we are going to grab is also probably the largest one you will download. It contains huge number of replacement high resolution textures for New Vegas, and makes a huge difference in the visual quality of the game. Head to NMCS Texture Pack for New Vegas and click on the Files tab. You will see several things listed under Main Files, and we want the first three (NMCs Textures NV LARGE Pack Part 1 of 3 FOR NMM, along with parts 2 and 3) Click the “Download with Manager” link under each one, and Mod Organizer will capture the request and begin downloading the files. 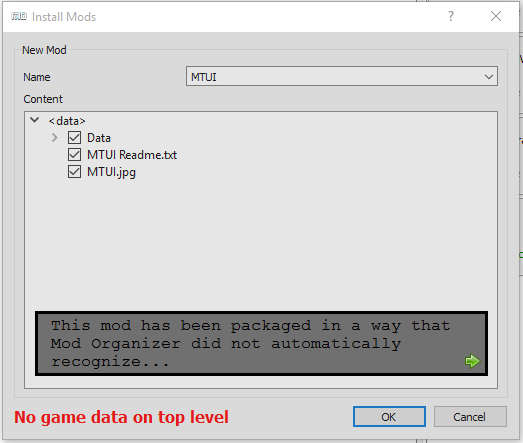 You can click on the Downloads tab in Mod Organizer to see the progress. These files are big, and will take a few minutes to download. Let them do so, and when they finish, it is time to install them. In the list of downloads in MO, right click on Part 1 and select Install from the popup menu. Here, MO is asking for a name for the mod, and providing a suggestion based on the information included with the download. Go ahead and accept the default name, and click Ok. It will take a few minutes for the mod to install. Once it is done, right click on Part 2 and click Install. Since we want the additional files in Part 2 (and Part 3 after this) to be added to the existing mod, click the Merge button. Once again, MO will unpack the files, this time adding them to the existing folder it created for the mod when we installed part 1. After it finishes, do the same for part 3. Click on the checkbox next to “NMCs_Texture_Pack_For_New_Vegas” to tell MO that you want to use that particular mod. You could go ahead and run F:NV at this point by clicking on the Run button with New Vegas selected in the dropdown list. If you do, you will see some information in the upper-left corner of your screen about the ENB version you are running and the current video card. You will also notice that the title screen indicates that you have NMCs Texture Pack installed as well. Exit back out of F:NV and we will continue with some other mods. NMC’s is pretty straightforward, and MO can install it without anything from us but a name. Other mods will function slightly differently, so lets look at one that does. On the Nexus, grab the Mod Configuration Menu mod (click on “Download (NMM)”) and return to MO and install it. 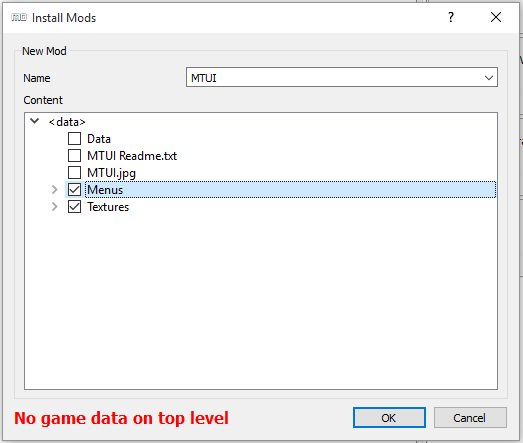 You will get a popup indicating that MO is running an external installer, followed by the installer window for the MCM mod. This external installer is pretty simple : it will verify that you have NVSE installed and provide “Install” and “Cancel” buttons. Click Install. Remember to check the mod off in the mods list in order to enable it. What does the MCM do? It provides a visual configuration interface for other mods, allowing them to implement menus to control various settings, and is a great foundation mod to have in place before adding others. What MO is saying here is that it expects to see folders like “Textures”, “Meshes” and the like in the root of the mod’s archive file, and this mod doesn’t have them. They are buried under the “Data” folder, which is pretty common, as some mods are packed in a way that they could be unzipped directly into the F:NV folder. Read through the grey-box text (click the green arrow to advance) and the remove the checks from all three check boxes above. Next, click the small “>” symbol next to “Data” which will open it up to reveal a Menus folder and a Textures folder. These are the folders we want, and they need to be at the top of the tree (Under <data>). This means that files from MTUI will overwrite files in the MCM. This is because MCM contains a replacement for the “Start” menu, and so does MTUI. If we think about the scope of the two mods, MTUI is a full UI overhaul, while MCM just provides some additional features. We want MCM to take precedence over MTUI, so drag MTUI above Mod Configuration menu and drop it into place. The order will switch, and the green plus should now be next to the Mod Configuration Menu, meaning it will overwrite files from MTUI. You will run into this situation fairly frequently, as many mods make changes to files that other mods have already modified. You will need to use your best judgement (and perhaps do some research) in order to determine what should be loaded in what order. The next mod we are going to look at is Essential Visual Enhancements, and yes we have another wrinkle in how mods are distributed here. Be sure to click on the Files tab on the Nexus page, and you will find that there are two downloads for EVE: One for NMM/FOMM and one for Mod Organizer. Grab the one for MO. I always click on the files tab to see what is available instead of just clicking on the download button at the top of the page… There are often different quality levels or options for mods, and you never know what one the main download button is going to grab. This time around, we will get an installation wizard that will ask what DLCs we have. Select the appropriate choice and click Install. This is yet another type of mod installation, and some will have many pages of options and questions, often having you make selections based on what other mods you have installed. Check EVE off in the mod list. Another mod, another installation complication. Grab Nevada Skies, which adds enhanced weather effects to New Vegas. You won’t see anything out of the ordinary when you install Nevada Skies, but when you check it off in the mod list, a small box will briefly pop up at the bottom that says “Multiple ESPs activated. Please check that they don’t conflict”. This means that the mod has several .ESP files contained within it, some of which may not be appropriate for our game based on the mods we have installed. Nevada Skies comes with one .ESM (Elder Scrolls Master) file and three .ESP (Elder Scrolls Plugin) files. We always need the .ESM, but only one of the .ESP files can be active at a time, and which one we choose depends on what DLC and mods we have installed. MO activates them all, so we need to remove the two we aren’t using. If you have ALL DLCs, move the “Basic Edition” and the “TTW Edition” esp to the top window by clicking on them and clicking the “Up” arrow. If you don’t have all of the DLCs, move the “TTW” and “Ultimate DLC Edition” files to the top window. There are lots of other visual tweaks you might want to install, but I’ll leave it to you to decide which ones to look into. For now, lets move on to look at a few mods that add content to the game. This is actually a series of content mods, all of which require the base Someguy Series mod. This is another mod that will pop up the window asking you to rearrange its files. This time, you want to drill down into “Someguy Series 2.0” and “Data” under that and pull the .ESM file all the way to the top (drop it on <data>. Check the mod off, and you should have the basics ready for the additional mods. The series contains 7 other mods, all listed on the Someguy Series page to download. They add bounty hunts, quests, and companions to the game. Check the individual descriptions and decide which ones appeal to you. All of them should install without any trouble, though you may need to do some file re-arranging – Just remember that everything under the “Data” folder (usually in a subfolder named after the mod) should be dragged up to <data>. If you enjoy travelling the wasteland with a friend, consider installing the Willow companion mod. She has lots of spoken dialog, her own desires, quests and motivations. If you decide to install Willow, you will get the opportunity for yet another installation wrinkle. Willow’s File’s tab contains the 1.09 download, and a “1.09 bugfix”, which indicates that the files in the bugfix should overwrite the files in 1.09. Download and install 1.09, and then download and install 1.09 Bugfix. Pick the same name when installing the Bugfix that you did for 1.09, and select “Merge” to overwrite the files in 1.09 with the fixed files in the new download. A category of their own, NVSE plugins add capabilities to NVSE itself, and can be installed with Mod Organizer just like other mods. A couple that I like are New Vegas Anti Crash and New Vegas Stutter Remover. NVAC will install without prompts, and NVSR just requires that you drag the NVSE folder up to <data>. I could go on for pages and pages listing cool mods, but explore the Nexus and look for stuff that interests you. One that I haven’t covered here is Project Nevada, which is a massive overhaul of the game. So large, in fact, that it is broken into modules so that you can choose what parts of it appeal to you. It can be installed through Mod Organizer, and contains an installation wizard to help you make decisions about what parts you want. Browse through the “Top Files of All Time” list, as it contains many of the mods installed above, as well as many others that can add lots of content and enjoyment to the game. If you run into any installation situations I haven’t covered here, let me know!